Shopping daily groceries needs an extravagant amount of time and patience. Visiting the local grocery shop for wholesome and fresh organic food and paying hefty bills on transportation can strain your nerves. But, when you rely upon the digital era to execute things, you just don’t have to step out of your home to get the work done. a few relevant clicks are enough to fetch you whatever you want at the best possible deals. The grocery shopping is really a fun affair when you convert it online. You can scroll amongst the most beautiful looking veggies and drop them in your virtual basket. The final step would be to pay for them and find them right away at your home! The festival bonanzas and promotional deals makes you repeatedly buy fresh vegetables and fruits online. There is no such reason that should restrict you from relying upon these viral shops. So just create your account in any of the 8 enlisted grocery shopping apps and enjoy the savings and better quality food stuff today! 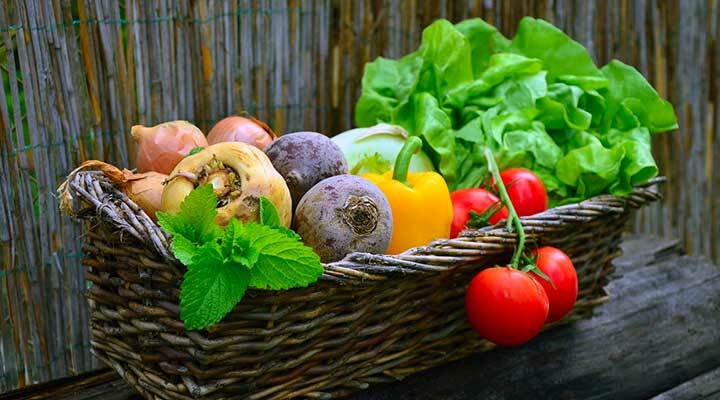 Why you should buy vegetables and fruits online? Where to buy fresh vegetables and fruits online? Big basket is currently the best place to buy fresh vegetables and fruits online. It is promoted by none other than “king khan”! The leading grocery store lets you buy meats, eggs, dairies, veggies, frets, juices, personal care products and a lot more than you think. The minimum discount in all the product has been kept at 5%. The deals are available in form of cash back and BOGO. The store has consolidated all over India including the metropolitan cities and the small towns. It is also one of the, most highly rated online grocery shopping store by the customers. You cannot judge the better one amongst grocers and big basket. Both are almost the same in terms of quality and have their own specialties. The uniqueness of Grofers is in the way it serves its customers. You have all the freedom to shop while sitting at your office chair or household sofa. The app would allow you to pick up the best quality veggies and fruits that you would not get anywhere else at such a low rate. Besides selling food items, the shopping website also offers daily care, electronics and flowers. Grofers has also covered a wide amount of areas including Kanpur, Ahmadabad, sutra, Jaipur, Chandigarh, Vadodara and many other places. There was a time when reliance fresh was in controversies. But, currently it is amongst the top-notch places from where you can buy fresh vegetables and fruits online. Reliance fresh already has a huge customer base and does not require any further advertising to grab the attention. It is doing quite well through delivering a nutritive range of food packed products at a very genuine rate. It also delivers fresh veggies and fruits along with the best-baked items, drinks, confectionaries, and snacks. Grocery won’t appear to be a chore anymore once you have bazaar cart at your disposal. Bazaar cart would always help you with the management of buying fresh veggies, beverages, dairy, bakery and fruits. It often launches deals for a better customer satisfaction and stock clearance. No matter whether you are just lazy or busy to shop for groceries, the amazing Araamshop is the best option that you can get. We all feel lazy to get out of our cars and buy food stuff while returning home; right? Well; Araamshop is a perfect remedy for your reluctance and daily grocery needs. It gives you tons of savings along with promising quality. Heritage was discovered more than two decades back in 1992 by near chandrababu Naidu for expanding his little retail store. Currently, heritage offers a wide range of products to buy fresh vegetables and fruits online. It has more than 8000 products and free home delivery facility in Chennai and bangalore. Also, the amazing December offers are the favorite of customers who often from heritage. Spencer’s online shopping mart is also available offline with an enormous product range. It is somewhat like big bazaar which is amongst the top most retail stores of India. The 3 hours home delivery makes spencer`s one of the most prefer grocery stores of the buyers. It has more than 15000 categories of products that cover up home décor, fruits, veggies, clothes, personal care and dairy products. Owned by adyta Birla group, Morestore is available in all the major Indian cities. Just like the above-mentioned grocery stores, morestore also specializes in selling veggies, fruits, personal care, fitness and many other kinds of products at exceptionally reasonable prices. Besides these, there are many others that you can choose to buy fresh vegetables and fruits online. The available apps keep launching some or the other kinds of discounts every now and then. Keep tracking the sales for reducing the monthly budget and stress of buying groceries.